At every Summer School we have systematic training for altar servers, grouped according to their experience. 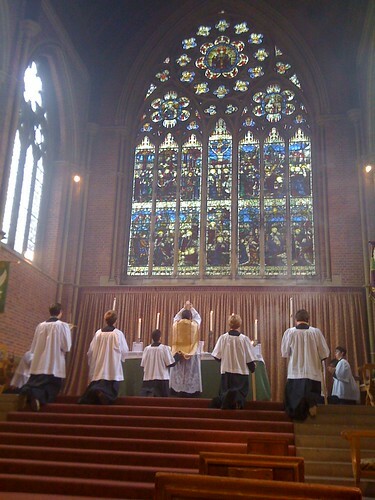 Some have no experience at all, and they are given an introduction to the structur, responses and rubrics of Low Mass; those who have served Low Mass and perhaps more join the team for our daily Sung Masses. 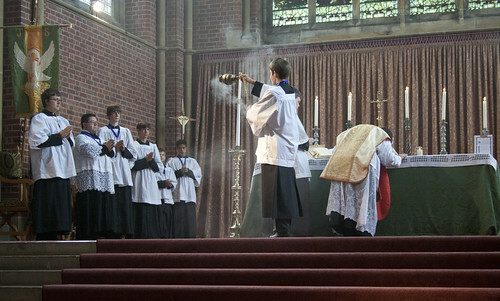 Roles of Torchbearer, Acolyte, Thurifer and Master of Ceremonies are rotated and every year a couple of boys are brought up to the level of MC for the first time. 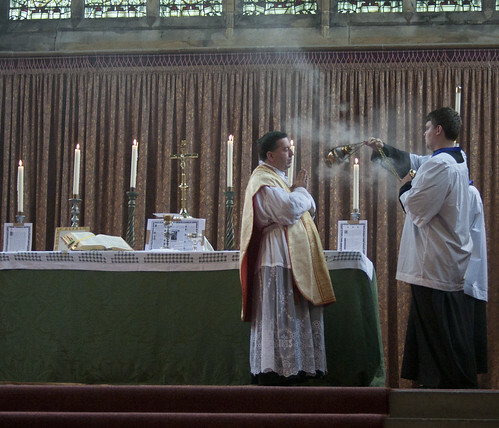 The picture above shows our budding MC practicing incensising the celebrant, below he is doing it 'for real'. The sancturary of Ardingly Chapel is enormous so there is plenty of room for torchbearers and the like; this means that a good number of boys are able to get close to the action. 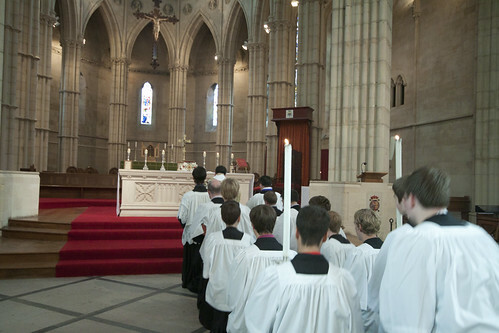 They were also able to experience serving in Arundel Cathedral, with its extremely grand sacristy; this procession to the altar includes our four-strong liturgical schola. As I reported at the time, during the course of this Summer School we had enrollments into the Society of St Tarcisius, with a promise to serve Mass accurately and reverently, and a blessing of and distribution of medals. These are medals of the Sacred Heart; we hope to source some medals of St Tarcisius himself in the future. 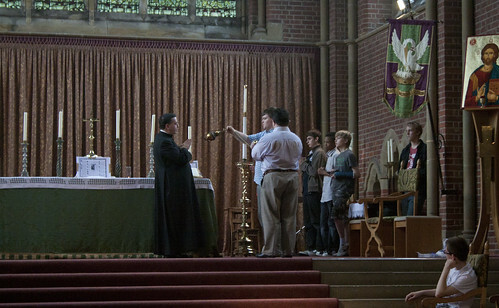 The worthy service of the altar is something which is it worth spending time on; the Summer School is a unique opportunity for this, as in so many other ways, because of the way it brings a good number of people together from different parts of the country, and with different experiences, for a week in which a significant amount can be imparted. 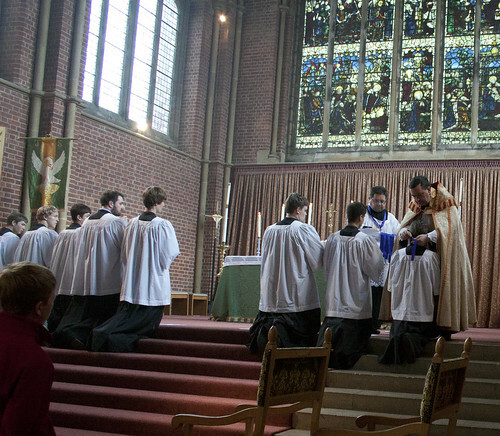 Some of the boys are used to serving regularly, in St Bede's parish for example; others hail from places in which the Traditional Missa Cantata is very infrequently celebrated, if at all. Servers at Mass, wearing the medals of the Society of St Tarcisius.